On October 1, 1855, a special commission of non-residents selected the site of Nevada. The entire 50 acres cost the county $250. The following day the commission reported its action to the county court, and the body approved everything that had been done. Because of its natural advantages, the county court wanted to name the new town “Fairview.” But Colonel D.C. Hunter, county and circuit clerk, objected and reminded the judges that there was already a village of that name in Cass County. 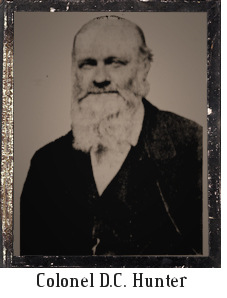 Hunter had been a California gold-seeker and recalled some pleasant thoughts of the town of Nevada City, the county seat of Nevada County, California. He suggested that the new capital of Vernon County be named in honor of the little town on the Pacific slope. The court after some discussion as to the propriety and relevancy of the name, finally acquiesced and the town was named Nevada City. In the spring of 1856 Col. Hunter constructed a home, this house was the first building completed in the town. Col. Hunter’s house was used for a courthouse when court was first held in Nevada, and the colonel built a smokehouse in which he allowed the Grand Jury to deliberate. In the November election of 1860 Vernon County residents did not cast one vote in favor of, soon to be president, Abraham Lincoln. One old man tried to vote for Lincoln, but was turned away from the polls. A battalion of Vernon County was organized which took part in the Battle of Wilson Creek, Battle of Big Drywood, and the skirmish of Montevallo. Rebuilding itself out of the ashes in 1868, homes and business, which has been destroyed, were rebuilt. New modern buildings were erected. Many immigrants came to the county to start a new life. 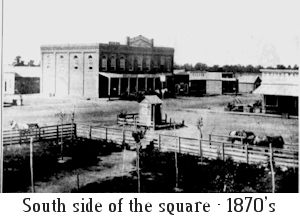 Nevada City was incorporated in 1869, at which time it dropped the word “City” from its name. 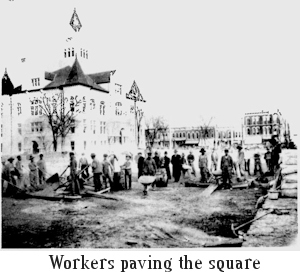 The city’s first sidewalks were made of wooded planks. Nevada has its first police and about 300 persons were living in Nevada.